Personal Development is about creating self-awareness and strengthening your team's communication skills to have a positive impact on how they interact with others. This course is designed to help build confidence and enhance an individual's potential, both personally and professionally. We currently offer this course for group bookings and in-company training only. This means we can customise the programme content to address your goals and your team's needs. You can request a quotation for Personal Development by clicking "Get In-Company Quote" below. 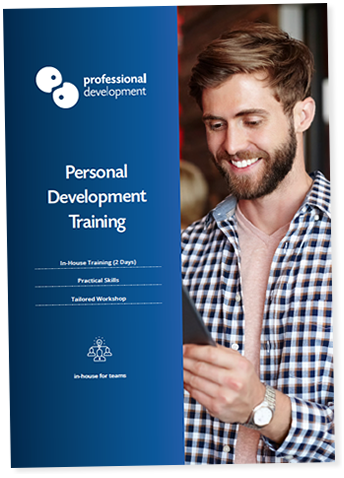 What are the Benefits of this Personal Development Course? We focus on enhancing communication skills throughout this workshop. Participants will discover how to communicate with clarity, listen effectively and ask questions that get the answers they need. Creating a sense of self-awareness is the first step of any personal development workshop. Each participant will learn about what motivates them, what their needs are, and any limiting beliefs they may have. The skills acquired during this workshop will help your team members to cope with challenging situations in a proactive, constructive manner. Increased self-confidence is a natural by-product of self-awareness and improving how we communicate. The skills participants learn during this workshop can be applied immediately to everyday business and personal situations. 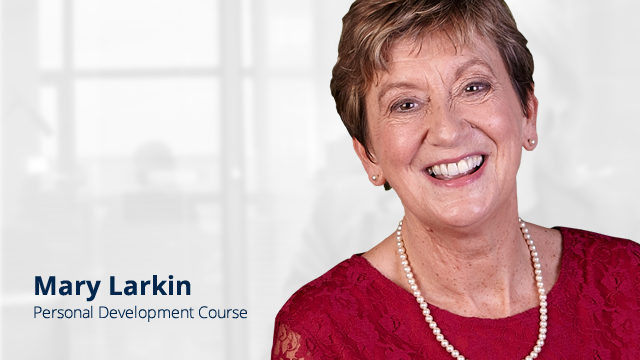 What is covered on this Personal Development Course? What are your individual needs? This workshop is available for group bookings and in-company (on-site) training. Choosing an in-company training programme gives you the opportunity to deliver a consistent message to your team. We will work with you to tailor this Personal Development programme around your priorities, goals, and challenges. In-company training offers the flexibility to choose a date that works with your schedule, and deliver training at your premises, minimising disruption to your team. You can learn more about in-company training, and how it could work for your organisation by getting in touch. To speak with one of our training consultants, Freephone 1800 910 810. Click below to download our brochure or ask a quick question. We currently only offer this course as a tailored workshop for groups, or in-company bookings. You can take a look at the public courses we offer here. This course is very much an interactive workshop, with plenty of group discussion and active learning. How many people can be included in this workshop? We recommend no more than 12 - 14 participants in any 1 workshop to allow for group interaction and individual feedback from your trainer. How can I find out more about in-company training? You can learn about in-company training by visiting our in-company training page.